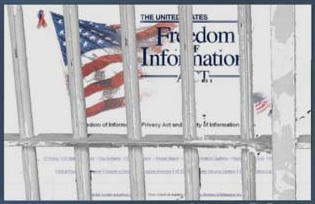 The Freedom of Information Act is a federal law that, in theory, requires executive branch agencies to provide individuals access to public records under the agency’s control with few exceptions. If the agency fails or refuses to provide access to the requested documentation within a reasonable time frame, the law creates a legal cause of action against the agency. The reality however is quite different. Executive branch agencies routinely drag their feet for months, if not years, regarding FOIA requests. Sometimes requests are ignored outright. Additionally, there is little recourse in the courts given that judges rarely, if ever, impose sanctions on federal agencies for failing to obey the law. Take for instance this article I wrote for Freedom’s Phoenix several years back regarding a few of my earlier FOIA experiences.